Today I am sharing a card that I made for my Mum's birthday back in December. 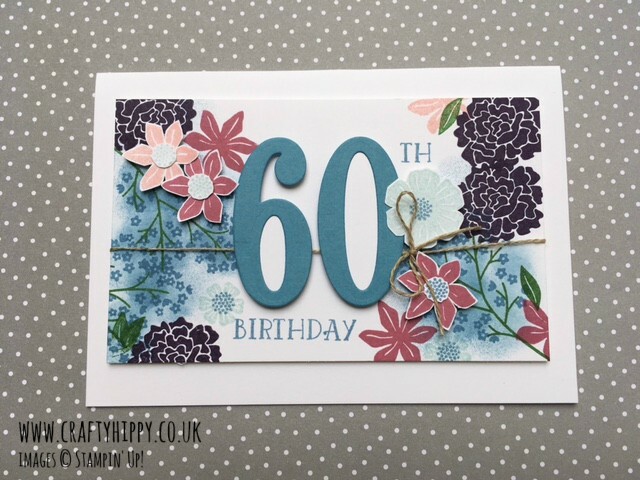 It was her 60th and it all felt a bit strange, really, as I made this card many months in advance and we had her surprise birthday adventure in January to avoid the Christmas crowd! We went to The Shard for lunch! Mum thought it was just her and Dad going but Mr Hippy and I showed up in London and surprised her by walking into a cafe. 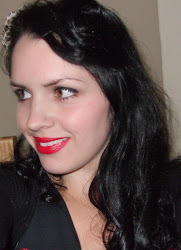 Her face was a picture! I've never been to The Shard before and neither had my parents. The views from the bar (Oblix) were absolutely amazing and definitely an experience to take up if you ever get the chance. The food was absolutely divine, and very generous on the portion size, though as you expect very expensive. But so worth it. The staff were lovely and very accomodating, and moved us to a window table just before out food came out. So lucky! None of this would have been possible without Mr Hippy who very generously arranged this and made it happen. He is the nicest husband and it's no wonder my parents love him. My Mum had a really lovely time and we created some gorgeous memories. I would have shared the pictures the very next day but I was too exhausted! So, on to how I made Mum's card. This project uses two stamp sets - Beautiful Bouquet and Number of Years (for the word 'birthday') - and shades of blue with a bit of purple and pink. The Large Numbers Framelits Dies, correspond with the Number of Years stamp set, and I used these in the Big Shot to cut out a '60' using some Marina Mist Cardstock. 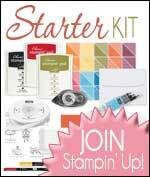 There is a very similar card on page 93 of the Stampin' Up! Annual Catalogue, using bright yellows and oranges, but in this project I used Blushing Bride, Elegant Eggplant, Marina Mist, Soft Sky and Sweet Sugarplum. This is such an easy look to create - use lots of layers and one of our Sponge Daubers to create a misty look, dabbing here and there.